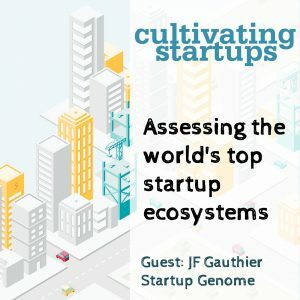 On this week’s podcast: For the last five years, Startup Genome has been assessing and ranking startup ecosystems around the world for its Global Startup Ecosystem reports. They recently published their third report, and this week we talk to their CEO, JF Gauthier, about the factors they assess and the metrics they use in determining the rankings. To start the show, I discuss how a ranking like Startup Genome’s is a challenging undertaking by looking at just two of the many factors they consider in their assessment.